At Dow Gutters, LLC, we install a variety of gutter guard products and solutions to help keep your gutters free of leaves and debris, throughout Bristol, CT. We offer only quality gutter guards and guarantee you will never have to clean your gutters again! Our gutter guards allow for rain water and snow to drain into your gutters without taking the leaves and debris with it. Our gutter guards come in a variety of colors and styles to match your existing gutters. All of our crew is licensed and insured and we guarantee customer satisfaction on our residential and commercial projects. 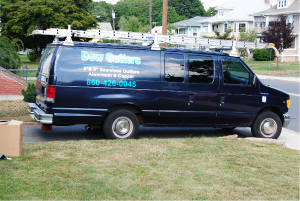 Contact Dow Gutters, at 860-426-0045, for a Free estimate on new gutter guards.